ITS A KINDA MAGIC--high tech broadcasting capability meets a true master of the keyboards to perform on the biggest stage in the world. 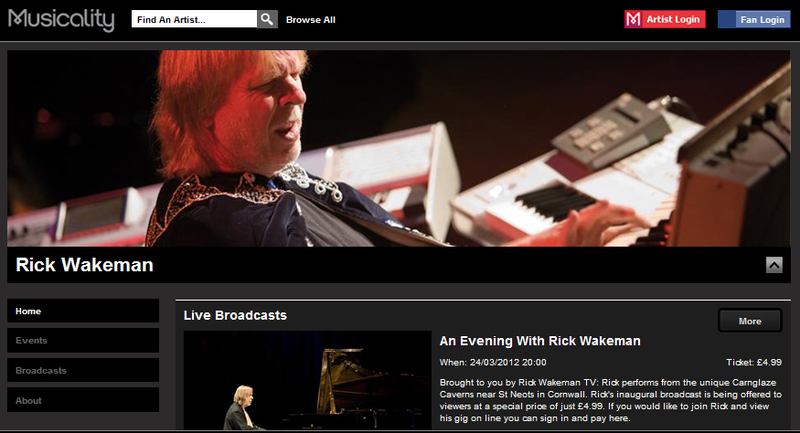 Rick Wakeman in association with Musicality TV have joined forces to provide Rick with his own internet tv channel. Now wherever he performs in the world you can watch him from the comfort of your own living room.